Circulating fluidized bed gasifier is originated from circulating fluidized bed reactor. 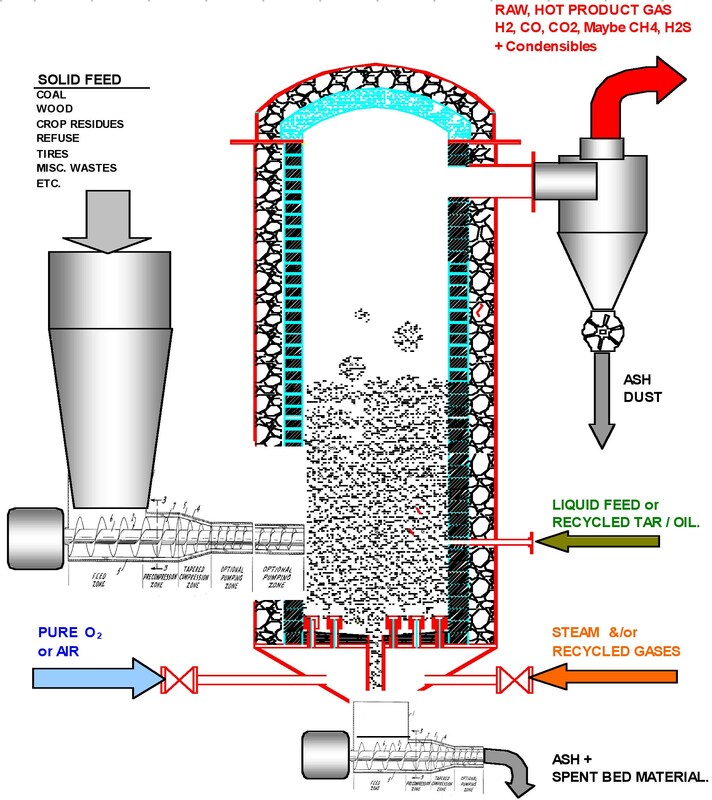 A fluidized bed is formed when a quantity of a solid particulate substance (usually present in a holding vessel) is placed under appropriate conditions to cause the solid/fluid mixture to behave as a fluid. This is usually achieved by the introduction of pressurized fluid through the particulate medium. 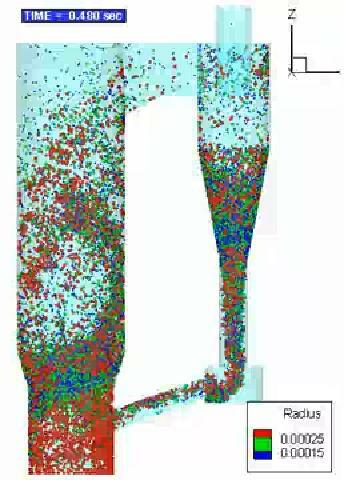 This results in the medium then having many properties and characteristics of normal fluids; such as the ability to free-flow under gravity, or to be pumped using fluid type technologies.The resulting phenomenon is called fluidization. Fluidized beds are used for several purposes, such as fluidized bed reactors, fluid catalytic cracking, fluidized bed combustion, heat or mass transfer or interface modification, such as applying a coating onto solid items. 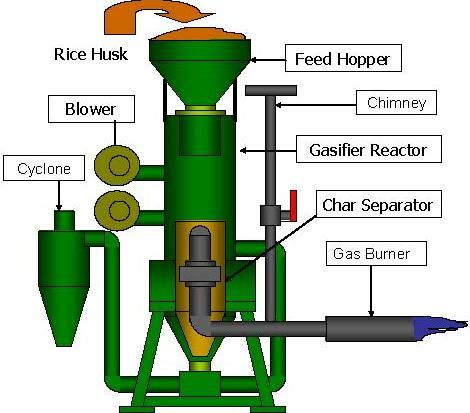 The circulating fluidized bed gasifier has the following features: fast fluidization which enhances the heat and mass transfer so as to speed up the gasification process; and the circulation of the char which increases the residence time of char so as to satisfy the need of reduction reaction and decrease the char loss. The CFBG represents an attractive and promising gasifier.